Resident Evil Revelations 2 is a third person shooter in the same style as previous Resident Evil games and it is rated M for Mature. It also has some melee elements to the combat but it is mostly a shooter. As you can tell it is the second game in the Revelations series but it is tied to the main timeline of the other Resident Evil games. 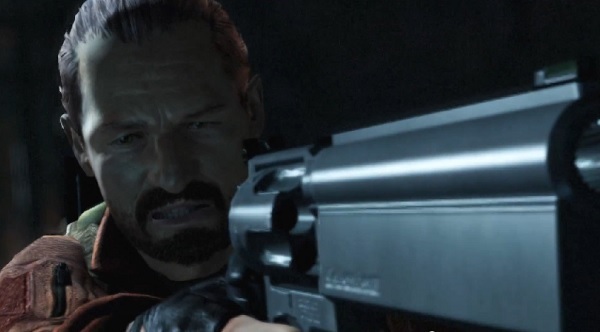 Barry Button is back but he is not a member of STARS or joining the BSAA, his daughter Moria has been kidnaped. She was with Clair Redfield when the business party they were at was attacked and the both of them along with other members of Terra Save a biohazard prevention origination are all taken. While Clair and Moria try to escape Barry is trying to figure out where they are who is behind the kidnapping. 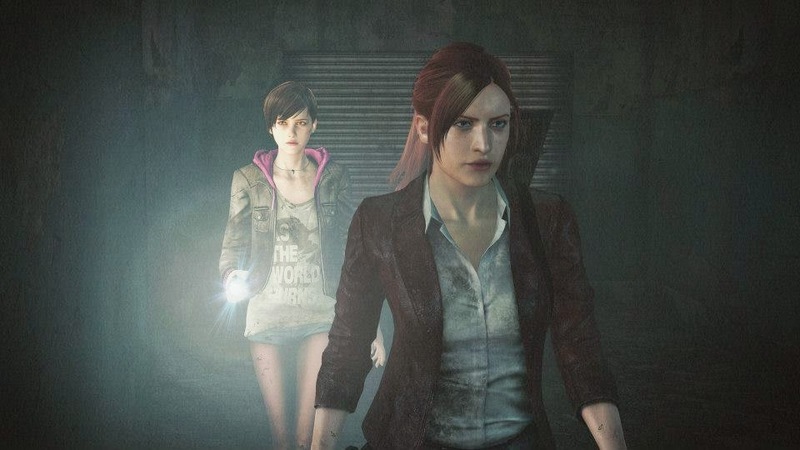 Resident Evil Revelations 2 takes elements from other Resident Evil games and puts them all together. It has weapon upgrades from RE2 and the first Revelations game, the story lines intersect effecting the others path taken like in RE2 and RE6 and it brings back switch between playable characters on the fly like in RE0. It has all of these traits but they are sadly just OK at best. None of the weapon upgrades make a huge difference and the switching between your characters seems forced and does not add any fun to the game. The story is good and has smart plot points to keep you engaged with what is going on but the overall game play is just a little above average. Resident Evil Revelations 2 also wants you to play through in different ways but the controls and aiming always seem to be too slow to respond or are too fast to respond when you are trying to hit a target. It tries to get you to dodge attacks but we kept running into awkward controls again and we did not use this feature much. There is a skills tree to buy character upgrades but they are mostly really stupid. Gamers should not have to buy an upgrade to let my partner AI use their weapon. And, the AI is kind of dumb at times and this becomes a bigger problem during situations where you are facing a puzzle or zombie that can kill you instantly and the AI is not doing anything to help. For a series known for great puzzles and shooting, there is not a lot of puzzles or shooting going on in Revelation 2. Resident Evil Revelations 2 took us between 10 and 12 hours to get through. There are four chapters and each take about the same amount of time roughly and the replay value is below average. After you play through it once there is no real reason to do it again even through there is more than one ending. This game does feel like a watered down version of The Evil Within. 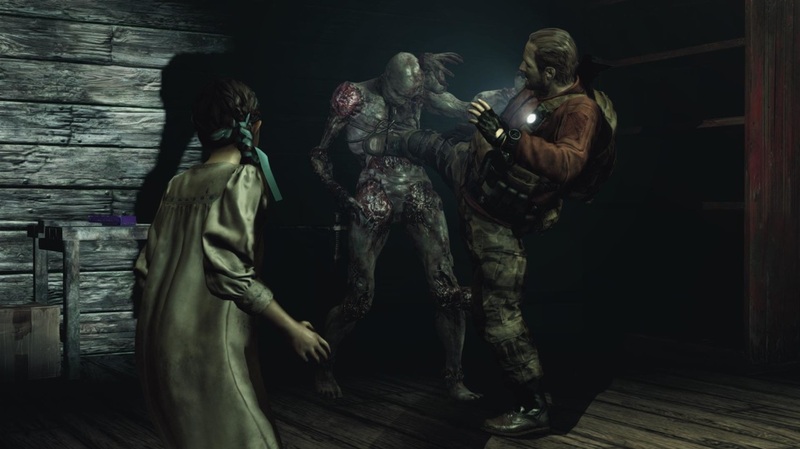 It has gaming elements we like but Resident Evil Revelations 2 does not follow through with them. Keep your price under $15 it has some good Resident Evil moments but overall it is just a slightly above average game.